Some people use marijuana for recreational purposes, to create a sense of well being or to alter the senses. It is either taken by mouth or smoked (inhaled). Marijuana is also taken by mouth for medicinal purposes. A cannabinoid from marijuana, tetrahydrocannabinol (THC), is used in the prescription-only, FDA-approved product dronabinol (Marinol) for the treatment of weight loss or appetite loss due to AIDS and for nausea and vomiting caused by cancer chemotherapy. Cannabinoids are at least as effective as some conventional medications for nausea, including prochlorperazine (Compazine), metoclopramide (Reglan), chlorpromazine (Compazine), and thiethylperazine (Torecan). Some people inhale cannabis for medicinal purposes. Cannabis is smoked for nausea, glaucoma, appetite stimulation, mucous membrane inflammation, leprosy, fever, dandruff, hemorrhoids, obesity, asthma, urinary tract infections, cough, anorexia associated with weight loss in AIDS patients, pain, and multiple sclerosis. It is also inhaled to weaken the immune system after kidney transplant to lessen the chance of transplant rejection. How does it work? Marijuana contains chemicals that work by binding to specific sites in the brain and on the nerves. 2012 - Study ~ Changes of Blood Endocannabinoids during Anaesthesia: a Special Case for Fatty Acid Amide Hydrolase Inhibition by Propofol? 2012 - Study ~ Effects of amphetamine on dopamine release in the rat nucleus accumbens shell region depend on cannabinoid CB1 receptor activation. 2011 - Study ~ Inhibition of monoacylglycerol lipase (MAGL) attenuates NSAID-induced gastric hemorrhages in mice. 2011 - Study ~ A combined preclinical therapy of cannabinoids and temozolomide against glioma. 2011 - Study ~ The safety of modafinil in combination with oral Δ9-tetrahydrocannabinol in humans. 2011 - Study ~ Cannabidiol potentiates Δ(9)-tetrahydrocannabinol (THC) behavioural effects and alters THC pharmacokinetics during acute and chronic treatment in adolescent rats. 2011 - Study ~ The interplay of cannabinoid and NMDA glutamate receptor systems in humans: preliminary evidence of interactive effects of cannabidiol and ketamine in healthy human subjects. 2011 - Study ~ Previous exposure to delta9-tetrahydrocannibinol enhances locomotor responding to but not self-administration of amphetamine. 2011 - Study ~ THC-methadone and THC-naltrexone interactions on discrimination, antinociception, and locomotion in rats. 2011 - Study ~ Pharmacokinetics of a combination of Δ9-tetrahydro-cannabinol and celecoxib in a porcine model of hemorrhagic shock. 2011 - Study ~ Low-volume binary drug therapy for the treatment of hypovolemia. 2010 - Study ~ THC Prevents MDMA Neurotoxicity in Mice. 2010 - Study ~ Methamphetamine neurotoxicity increases brain expression and alters behavioral functions of CB₁ cannabinoid receptors. 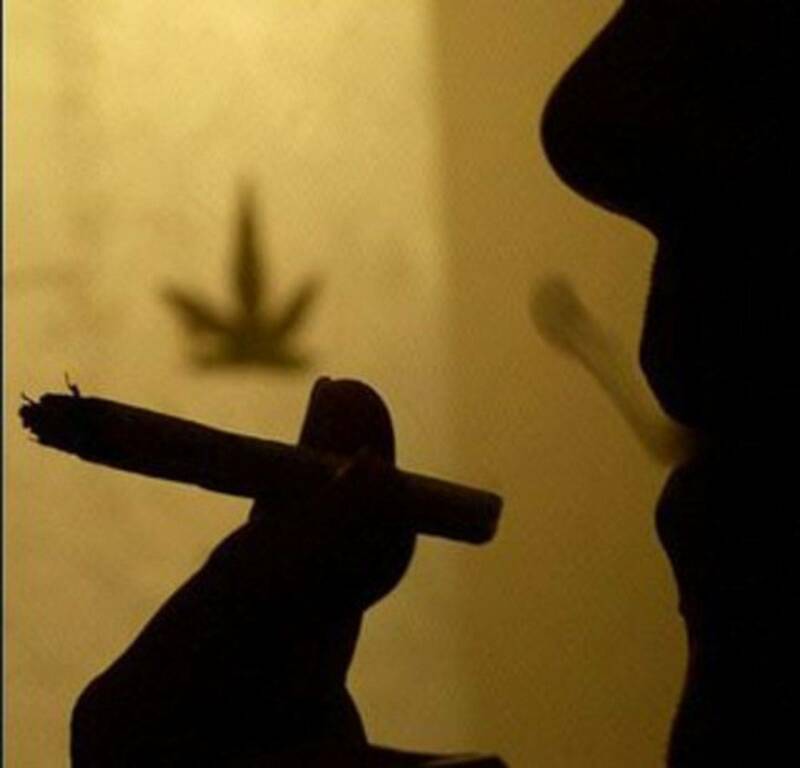 2010 - Study ~ Opioid antagonism enhances marijuana's effects in heavy marijuana smokers. 2010 - Study ~ The analgesic potential of cannabinoids. 2009 - Study ~ Pharmacological synergism between cannabinoids and paclitaxel in gastric cancer cell lines. 2009 - Study ~ Delayed onset of seizures and toxicity associated with recreational use of Bromo-dragonFLY. 2008 - Study ~ Priapism, ecstasy, and marijuana: is there a connection? 2008 - Study ~ Interaction of plant cannabinoids with the multidrug transporter ABCC1 (MRP1). 2007 - Study - Efficacy of dronabinol alone and in combination with ondansetron versus ondansetron alone for delayed chemotherapy-induced nausea and vomiting. 2006 - Study ~ Modulation of paraoxon toxicity by the cannabinoid receptor agonist WIN 55,212-2. 2006 - Study ~ Arachidonyl-2'-chloroethylamide, a highly selective cannabinoid CB1 receptor agonist, enhances the anticonvulsant action of valproate in the mouse maximal electroshock-induced seizure model. 2003 - Study ~ Haloperidol, but not clozapine, produces dramatic catalepsy in delta9-THC-treated rats: possible clinical implications. 2002 - Study ~ Decrease in efficacy and potency of nonsteroidal anti-inflammatory drugs by chronic delta(9)-tetrahydrocannabinol administration. 2002 - Study ~ Tobacco and Cannabis Smoking Cessation Can Lead to Intoxication with Clozapine or Olanzapine. 2001 - Study ~ Protective effects of cannabinoid receptor ligands analogous to anandamide against cocaine toxicity. 1999 - Study ~ Case report: adverse effects of taking tricyclic antidepressants and smoking marijuana. 1996 - Study ~ Marijuana and chocolate. 1994 - Study ~ Marihuana smoking increases plasma cocaine levels and subjective reports of euphoria in male volunteers. 1991 - Study - Dronabinol and prochlorperazine in combination for treatment of cancer chemotherapy-induced nausea and vomiting. 1983 - Study ~ Adverse Interaction Between Disulfiram and Marijuana: a Case Report. 1980 - Study ~ Effects of drugs on behavior in pigeons tolerant to delta 9-tetrahydrocannabinol. 1978 - Study ~ Enhanced Biotransformation of Theophylline in Marihuana and Tobacco Smokers. 1977 - Study ~ Cannabidiol --antiepileptic drug comparisons and interactions in experimentally induced seizures in rats. 1977 - Study ~ The effect of delta 9-tetrahydrocannabinol, cannabidiol, and cannabinol on the anaesthesia induced by various anaesthetic agents in mice. 1977 - Study ~ Propranolol Effects on Acute Marihuana Intoxication in Man. 1975 - Study ~ Combination of delta9-tetrahydrocannabinol with oxymorphone or pentobarbital: Effects on ventilatory control and cardiovascular dynamics. 1975 - Study ~ Interactions in man of delta-9-tetrahydrocannabinol. II. Cannabinol and cannabidiol. 1975 - Study ~ Effects of marihuana combined with secobarbital. 1972 - Study ~ Proceedings: Effects of chronic and acute cannabis treatment upon thiopentone anaesthesia in rabbits. "What I remember most about being depressed was always being exhausted. I could never get to sleep at night, and when I did, I had nightmares. Then I'd wake up in the morning and have to drag myself to work. And in all that time—four or five years, I guess—I never once enjoyed anything. I was actually planning my own suicide when my doctor referred me to a psychiatrist who put me on imipramine. For the first time in years, I finally began to get some pleasure out of life." Before the SSRIs, tricyclics were the first line of defense against encroaching depression, and had been ever since imipramine's release in 1958 under the brand name Tofranil. Today, tricyclics are a less popular choice than the new generation of antidepressants, but they're still an important weapon in the antidepressant arsenal for a subset of people who don't respond to anything else. Before tricyclics were developed, psychiatrists treating severely depressed clients had only two real choices: amphetamines or electroshock therapy. Imipramine was discovered by Swiss scientists searching for a successful schizophrenia treatment; it turned out that imipramine didn't do much for schizophrenia at all. What it did do very well was perk up depressed patients. With the discovery of imipramine, doctors finally had a drug that relieved a person's underlying depression. When scientists realized how effective imipramine was—about 70 percent of depressed patients responded to this drug—they flocked to the laboratories in search of similar drugs based on imipramine's three-ring ("tricyclic") antihistaminic chemical structure. Before long, laboratories all over the country began churning out tricyclic clones, each one a little different from, but none any better than, imipramine itself. A later-developed drug in this class, maprotiline (Ludiomil), had four rings and was therefore called "tetracyclic." Taken together, the tricyclics and tetracyclics are known as "heterocyclics" or "cyclics." But while all these cyclics were effective, not one provided the perfect solution to depression for which scientists had been searching. Dronabinol (Marinol, Roxane Laboratories, Columbus, OH) and prochlorperazine were tested alone and in combination in a randomized, double-blind, parallel group, multicenter study. Patients were randomized to receive either 1) dronabinol 10 mg every 6 hr plus placebo; 2) placebo plus prochlorperazine 10 mg every 6 hr; or 3) dronabinol and prochlorperazine, each 10 mg every 6 hr. Antiemetic treatment was begun 24 hr prior to and continued for 24 hr after the last dose of chemotherapy; all was given orally. Only 29% of patients in group 3 versus 47% in group 1 and 60% in group 2 experienced nausea after chemotherapy. In addition, the median duration per episode and severity of nausea were significantly less with combination therapy. Vomiting occurred after chemotherapy in 41%, 55%, and 35% of patients in groups 1, 2, and 3, respectively. The median duration per episode of vomiting was 1 min in group 3 versus two in group 1 and four in group 2. Side effects, primarily CNS, were more common in group 1 than in group 2; addition of prochlorperazine to dronabinol appeared to decrease the frequency of dysphoric effects seen with the latter agent. The combination was significantly more effective than was either single agent in controlling chemotherapy-induced nausea and vomiting. Pinsger M, Schimetta W, Volc D, Hiermann E, Riederer F, Polz W.
Wien Klin Wochenschr. 2006 Jun;118(11-12):327-35. Nabilone caused a significant reduction in pain and improvement of quality of life. OBJECTIVE: The aim of this study was to investigate the efficacy and efficiency of an add-on treatment with the synthetic cannabinomimetic nabilone on patients with chronic pain. Of major interest were the evaluation of the influence the treatment had on pain and on quality of life as well as the subjective assessment of positive effects and side effects by the study participants. METHODS: The placebo-controlled double-blinded pilot study was divided into a 14 week cross-over period (two 4 week medication phases plus wash-out phases) followed by a 16 week medication switch period with free choice of the study drugs (drug A and drug B) by the study participants. The principal inclusion criterion was chronic therapy-resistant pain in causal relationship with a pathologic status of the skeletal and locomotor system. The study participants chose the dosage of the study drug themselves (between 1 und 4 capsules/day, in the case of nabilone this corresponds to (1/4)-1 mg/day). Pain intensity was assessed by a visual analogue scale (VAS), quality of life by the Mezzich & Cohen QOL-score. RESULTS: Altogether, 30 patients were included and analyzed. From the results, it is obvious that throughout the cross-over periods the nabilone treatment was superior (medians [25%-; 75%-percentiles]: nabilone/placebo): decrease of the average spinal pain intensity within the last 4 weeks (DeltaVAS) 0.9 [0.0; 2.0] / 0.5 [0.0; 1.7], decrease of the current spinal pain intensity (DeltaVAS) 0.6 [0.0; 2.5] / 0.0 [-1.0, 1.0] (p = .006), decrease of the average headache intensity within the last 4 weeks (DeltaVAS) 1.0 [-1.0; 2.4] / 0.2 [-0.9; 1.0], increase of the number of days without headache within the last 4 weeks 2.0 [0.0; 6.5] / 0.0 [-5.0; 4.0], increase of the quality of life (DeltaQOL-Score) 5.0 [0.8; 10.8] / 2.0 [-2.3; 8.0]. In the medication switch period, the number of study participants who favoured nabilone (nabilone intake >/=85% of all medication days) was more than 4 times higher than those who favoured placebo. The number of days with nabilone intake was clearly higher than the number with placebo intake (medians: 89% vs. 11% of all medication days, p = .003). CONCLUSION: In summary, the study results allow the conclusion that a majority of patients with chronic pain classify nabilone intake in addition to the standard treatment as a measure with a positive individual benefit-riskratio. Thus, this kind of treatment may be an interesting and attractive enrichment of analgetic therapy concepts. Confraternitat, Privatklinik Josefstadt, Wien, Austria, m.pinsger@nextra.at. Roberts JD, Gennings C, Shih M.
Evidence for an analgesic interaction between delta-9-tetrahydrocannabinol (Delta(9)-THC) and morphine was sought using an experimental pain model applied to normal volunteers. The study incorporated a double blinded, four treatment, four period, four sequence, crossover design. Subjects received Delta(9)-THC 5 mg orally or placebo and 90 min later morphine 0.02 mg/kg intravenously or placebo. Fifteen minutes later subjects rated the pain associated with the application of thermal stimuli to skin using two visual analog scales, one for the sensory and one for the affective aspects of pain. Among sensory responses, neither morphine nor Delta(9)-THC had a significant effect at the doses used, and there was no significant interaction between the two. Among affective responses, although neither morphine nor Delta(9)-THC had a significant effect, there was a positive analgesic interaction between the two (p=0.012), indicating that the combination had a synergistic affective analgesic effect. The surprisingly limited reported experimental experience in humans does not support a role for Delta(9)-THC as an analgesic or as an adjunct to cannabinoid analgesia, except for our finding of synergy limited to the affective component of pain. Comparison of our results with those of others suggests that extrapolation from experimental pain models to the clinic is not likely to be a straight-forward process. Future studies of Delta(9)-THC or other cannabinoids in combination with opiates should focus upon clinical rather than experimental pain. The administration of single oral doses of delta-9- tetrahydrocannabinol (THC) to patients with cancer pain demonstrated a mild analgesic effect. At a dose of 20 mg, however, THC induced side effects that would prohibit its therapeutic use including somnolence, dizziness, ataxia, and blurred vision. Alarming adverse reactions were also observed at this dose. THC, 10 mg, was well tolerated and, despite its sedative effect, may analgesic potential. Eur J Pharmacol 2007 Apr 20. We have shown in past isobolographic studies that a small amount of Delta(9)-tetrahydrocannabinol (Delta(9)-THC) can enhance morphine antinociception in mice. However, previous studies of the Delta(9)-THC/morphine interaction were performed using normal mice or rats and evaluated acute thermal antinociception. Less is known about cannabinoid and opioid interactions involved in mechanical nociception and in chronic inflammatory pain models, such as Freund's complete adjuvant-induced arthritic model. One fixed-ratio combination was chosen for testing the interaction between Delta(9)-THC and morphine in the Freund's adjuvant-induced arthritic model. This combination represented a 1:1 ratio of the drugs and thus consisted of equieffective doses ranging from 0.1 to 5 mg/kg Delta(9)-THC and from 0.1 to 5 mg/kg morphine. The combination ED(50) value for the fixed ratios (total dose) in relation to the ED(50) value of the drugs alone was determined. The isobolographic analysis indicated a synergistic interaction between Delta(9)-THC and morphine in both the non-arthritic and the arthritic rats. Since Freund's adjuvant-induced alteration in endogenous opioid tone has been previously shown, our data indicate that such changes did not preclude the use of Delta(9)-THC and morphine in combination. As with acute preclinical pain models in which the Delta(9)-THC/morphine combination results in less tolerance development, the implication of the study for chronic pain conditions is discussed. J Pain Symptom Manage. 2003 Jun;25(6):496-8. Improvement in pain, spasticity, bladder spasm, and sleep. A 47-year-old woman with a ten-year history of chronic progressive multiple sclerosis (MS) head headache, multisite joint pain, bladder spasm, and leg spasticity. Ambulation was significantly compromised by the joint pain and leg spasticity. She was wheelchair dependent, and also suffered from severe insomnia and fatigue, which she attributed to the combination of pain, bladder spasm, and leg spasticity. Physical examination revealed paraparesis, weakness in the left upper extremity, tremor involving both hands, intranuclear ophthalmoplegia and l’Hermitte’s sign. Previous treatment included steroids, physiotherapy, acupuncture, interdisciplinary pain management, intramuscular injections of botulinum toxin, amitritryptiline, fluoxetine, amantadine, acetaminophen with codeine, oxycodone, nonsteroidal anti-inflammatory drugs (NSAIDS), and baclofen. The patients’ medications prior to access to smoked marijuana consisted of long-acting morphine 75 mg per day, tizanidine 24 mg per day, and sertraline 150 mg at bedtime. In spite of these treatments, the patient did not obtain adequate control of her pain, spasticity, or sleep. The patient received permission for access to smoked marijuana and began to use a dose of 2-4 puffs of smoked marijuana at bedtime on a regular basis. Over the next six months, the morphine was reduced to 45 mg per day, tizanidine to 6 mg once per day, and setraline to between 100 mg and 150 mg at bedtime. The patient reported improvement in pain, spasticity, bladder spasm, and sleep. The patient denied any adverse side effects, other than she felt somewhat “high” if she smoked more than 4 puffs per dose. She was able to adjust the dose so that this did not occur. The patient received legal access in the autumn of 2000 and continues to use marijuana. Engels FK, de Jong FA, Sparreboom A, Mathot RA, Loos WJ, Kitzen JJ, de Bruijn P, Verweij J, Mathijssen RH. OBJECTIVE: To date, data regarding the potential of cannabinoids to modulate cytochrome P450 isozyme 3A (CYP3A) activity are contradictory. Recently, a standardized medicinal cannabis product was introduced in The Netherlands. We anticipated an increased use of medicinal cannabis concurrent with anticancer drugs, and undertook a drug-INTERACTION study to evaluate the effect of concomitant medicinal cannabis on the pharmacokinetics of irinotecan and docetaxel, both subject to CYP3A-mediated biotransformation. PATIENTS AND METHODS: Twenty-four cancer patients were treated with i.v. irinotecan (600 mg, n = 12) or docetaxel (180 mg, n = 12), followed 3 weeks later by the same drugs concomitant with medicinal cannabis (200 ml herbal tea, 1 g/l) for 15 consecutive days, starting 12 days before the second treatment. Blood samples were obtained up to 55 hours after dosing and analyzed for irinotecan and its metabolites (SN-38, SN-38G), respectively, or docetaxel. Pharmacokinetic analyses were performed during both treatments. Results are reported as the mean ratio (95% confidence interval [CI]) of the observed pharmacokinetic parameters with and without concomitant medicinal cannabis. RESULTS: Medicinal cannabis administration did not significantly influence exposure to and clearance of irinotecan (1.04; CI, 0.96-1.11 and 0.97; CI, 0.90-1.05, respectively) or docetaxel (1.11; CI, 0.94-1.28 and 0.95; CI, 0.82-1.08, respectively). CONCLUSION: Coadministration of medicinal cannabis, as herbal tea, in cancer patients treated with irinotecan or docetaxel does not significantly influence the plasma pharmacokinetics of these drugs. The evaluated variety of medicinal cannabis can be administered concomitantly with both anticancer agents without dose adjustments. Department of Medical Oncology, Erasmus MC University Medical Center Rotterdam - Daniel den Hoed Cancer Center, Rotterdam, The Netherlands. Br J Pharmacol. 1974 April; 50(4): 593–599. 1 A cannabis extract (I) (in a concentration equivalent to 10 mg Δ9-tetrahydro-cannabinol(THC)/kg) prolonged pentobarbitone anaesthesia in mice maximally 20 min to 2 h after medication. The effect was still significant after 8 h, but less than at 2 hours. 2 The cannabis extract (I) (equivalent to 10 mg Δ9-THC/kg) prolonged both pentobarbitone and ether anaesthesia in mice when administered 20 min before the anaesthetic. After eight consecutive daily doses of cannabis, the pentobarbitone anaesthesia was still significantly longer than a control group, while ether anaesthesia was not significantly prolonged. 3 A second cannabis extract (II) with a different ratio of cannabinoids (also administered in dosage equivalent to 10 mg Δ9-THC/kg) failed to affect pentobarbitone anaesthesia in mice. This extract presented about 4% the dose of cannabidiol as extract I. 4 Δ8-THC, Δ9-THC and cannabidiol prolonged pentobarbitone anaesthesia with cannabidiol being generally more active than Δ9-THC. Cannabinol (10 mg/kg) was inactive. 5 The effects of cannabidiol and Δ9-THC were found to be additive, and there was a consistent trend for cannabinol to reduce the effectiveness of Δ9-THC and cannabidiol when given in combination. 6 Premedication with phenoxybenzamine, phentolamine, propranolol, iproniazid, protriptyline, desipramine, reserpine, α-methyl tyrosine or parachlorophenylalanine did not affect the extract I-induced prolongation of pentobarbitone anaesthesia. 7 It is concluded that cannabis may affect pentobarbitone and ether anaesthesia in mice at least partially by a direct depressant effect, and that the cannabis-induced prolongation of anaesthesia is probably unrelated to any effect on central 5-hydroxytryptamine or catecholamine neurones. Full text is available as a scanned copy of the original print version. Get a printable copy (PDF file) of the complete article (883K), or click on a page image below to browse page by page. Links to PubMed are also available for Selected References. Clin Pharmacol Ther 2009 May 13. This study assessed the acute physiologic effects over time of (co)administration of Delta9-tetrahydrocannabinol (Delta9-THC) (the main psychoactive compound of cannabis) and 3,4-methylenedioxymethamphetamine (MDMA or "ecstasy") in 16 healthy volunteers. Pharmacokinetics and cardiovascular, temperature, and catecholamine responses were assessed over time. Both single-drug conditions robustly increased heart rate, and coadministration showed additive effects. MDMA increased epinephrine and norepinephrine concentrations, whereas THC did not affect the catecholamine response. Coadministration of MDMA and THC attenuated the increase of norepinephrine concentrations relative to administration of MDMA alone. These results show that THC mediates heart rate increase independent of sympathetic (catecholaminergic) activity, probably through direct cannabinoid receptor type 1 (CB(1)) agonism in cardiac tissue. Furthermore, THC coadministration did not prevent MDMA-induced temperature increase, but it delayed the onset and prolonged the duration of temperature elevation. These effects may be of particular relevance for the cardiovascular safety of ecstasy users who participate in energetic dancing in nightclubs with high ambient temperature.Clinical Pharmacology & Therapeutics (2009); advance online publication 13 May 2009. doi:10.1038/clpt.2009.62. Δ9-Tetrahydrocannabinol (THC) is the active metabolite of cannabis, which has demonstrable cytotoxic activity in vitro. In support of our previously published data, we have investigated the interactions between THC and anti-leukemia therapies and studied the role of the signalling pathways in mediating these effects. Results showed clear synergistic interactions between THC and the cytotoxic agents in leukemic cells. Additionally, exposure of cells to sub lethal levels of THC (1 μM) sensitised cells to these cytotoxic agents, by reducing IC50 values by ∼ 50%. Sensitisation appeared to be dependent upon the ability of THC to down regulate phosphorylated ERK, as cells dominantly expressive of MEK were not sensitised to the cytotoxic drugs by equi-molar amounts of THC. Overall, these results demonstrate for the first time that a combination approach with THC and established cytotoxic agents may enhance cell death in vitro. Additionally the MAPK/ERK pathway appears responsible in part for these effects. Br J Pharmacol. 2007 Nov;152(5):815-24. Epub 2007 Oct 1. The Discipline of Pharmacology, The University of Sydney, Sydney, New South Wales, Australia. Cannabinoids are used therapeutically for the palliation of the adverse side effects associated with cancer chemotherapy. However, cannabinoids also inhibit both the activity and expression of the multidrug transporter, P-glycoprotein in vitro. Here we address the interaction of cannabinol (CBN), cannabidiol (CBD) and delta 9-tetrahydrocannabinol (THC) with the related multidrug transporter, ABCG2. Cannabinoid inhibition of Abcg2/ABCG2 was assessed using flow cytometric analysis of substrate accumulation and ATPase activity assays. The cytotoxicity and chemosensitization by cannabinoids was determined with cell viability assays. Expression of cannabinoid and vanilloid receptors was assessed using reverse transcriptase polymerase chain reaction, and cannabinoid modulation of ABCG2 expression was examined using immunoblotting. CBN, CBD and THC increased the intracellular accumulation of the Abcg2/ABCG2 substrate, mitoxantrone, in an over-expressing cell line. The THC metabolite, (-)-11-nor-9-carboxy-delta 9-THC was much less potent. The plant cannabinoids inhibited both basal and substrate stimulated ATPase activity of human ABCG2. Cannabinoid cytotoxicity occurred in the absence of known cannabinoid cell surface receptors, and only at concentrations higher than those required for Abcg2/ABCG2 inhibition. Sub-toxic concentrations of the cannabinoids resensitized the overexpressing cell line to the cytotoxic effect of Abcg2/ABCG2 substrates, mitoxantrone and topotecan. This occurred in the absence of any effect on ABCG2 expression. Cannabinoids are novel Abcg2/ABCG2 inhibitors, reversing the Abcg2-mediated multidrug-resistant phenotype in vitro. This finding may have implications for the co-administration of cannabinoids with pharmaceuticals that are ABCG2 substrates. Meiri E, Jhangiani H, Vredenburgh JJ, Barbato LM, Carter FJ, Yang HM, Baranowski V.
Curr Med Res Opin 2007;23(3):533-43. Dronabinol was as effective as ondansetron in reducing nausea and vomiting. Combination therapy was not more effective. OBJECTIVE: To compare the efficacy and tolerability of dronabinol, ondansetron, or the combination for delayed chemotherapy-induced nausea and vomiting (CINV) in a 5-day, double-blind, placebo-controlled study. RESEARCH DESIGN AND METHODS: Patients receiving moderately to highly emetogenic chemotherapy received dexamethasone (20 mg PO), ondansetron (16 mg IV) and either placebo or dronabinol (2.5 mg) prechemotherapy on day 1. Patients randomized to active treatment (dronabinol and/or ondansetron) also received dronabinol (2.5 mg) after chemotherapy on day 1. On day 2, fixed doses of placebo, dronabinol (10 mg), ondansetron (16 mg), or combination therapy were administered. On days 3-5, patients received placebo, flexible doses of dronabinol (10-20 mg), ondansetron (8-16 mg), or dronabinol and ondansetron (10-20 mg dronabinol, 8-16 mg ondansetron). MAIN OUTCOME MEASURES: Total response (TR = nausea intensity <5 mm on visual analog scale, no vomiting/retching, no rescue antiemetic), nausea (occurrence and intensity) and vomiting/retching episodes. RESULTS: Sixty-four patients were randomized; 61 analyzed for efficacy. TR was similar with dronabinol (54%), ondansetron (58%), and combination therapy (47%) versus placebo (20%). Nausea absence was significantly greater in active treatment groups (dronabinol, 71%; ondansetron, 64%; combination therapy, 53%) versus placebo (15%; p < 0.05 vs. placebo for all). Nausea intensity and vomiting/retching were lowest in patients treated with dronabinol. Active treatments were well tolerated. The low number of patients due to slow enrollment limits the interpretation of these data. CONCLUSIONS: Dronabinol or ondansetron was similarly effective for the treatment of CINV. Combination therapy with dronabinol and ondansetron was not more effective than either agent alone. Active treatments were well tolerated. Eur J Anaesthesiol 2009 Mar; 26(3):192-5. BACKGROUND AND OBJECTIVE: An estimated 150 million people worldwide use cannabis. The effect of cannabis on anaesthetic requirements in humans does not appear to have been studied. METHODS: In this prospective, randomized, single-blinded study, 30 male patients using cannabis more than once per week (group C) and 30 nonusers (group NC), aged 18-50 years, were induced with propofol 1.5, 2, 2.5, 3 or 3.5 mg kg. Additional doses were given when required. The primary outcome was the 50% effective dose of propofol and successful induction was determined by loss of consciousness with a bispectral index value of less than 60 and satisfactory insertion of a laryngeal mask. Propofol requirements to achieve these outcomes were recorded. RESULTS: The dose required to achieve the target bispectral index value was not significantly higher in group C, but group C required a significantly higher propofol dose to achieve laryngeal mask insertion (314.0 +/- 109.3 vs. 263.2 +/- 69.5 mg, P < 0.04). The estimated effective propofol induction dose in 50-95% of patients did not significantly differ between groups. CONCLUSION: We conclude that cannabis use increases the propofol dose required for satisfactory clinical induction when inserting a laryngeal mask. Ann Pharmacother 2009 Jun 16. OBJECTIVE: To report a probable interaction between warfarin and marijuana smoking, resulting in increased international normalized ratio (INR) values and bleeding complications. CASE SUMMARY: A 56-year-old white male had been receiving chronic warfarin therapy for 11 years after mechanical heart valve replacement. He was admitted to the hospital with a diagnosis of upper gastrointestinal bleeding. Upon admission, his INR value was supratherapeutic at 10.41, and his hemoglobin level was 6.6 g/dL. He received 4 units of fresh frozen plasma and one 10-mg dose of oral vitamin K; his INR was 1.8 the next day. He was discharged 7 days after admission. Fifteen days after hospital discharge, he was readmitted with a constant nosebleed and increased bruising. His INR value was 11.55. After treatment, he was discharged with an INR value of 1.14. The patient smoked marijuana more frequently throughout the period of these 2 hospitalizations due to his depression. He was counseled by the pharmacist on the potential interaction of warfarin and marijuana. The patient decided to stop smoking marijuana after the third counseling session. During the 9 months that he did not smoke marijuana, his INR values ranged from 1.08 to 4.40 with no significant bleeding complications. DISCUSSION: Marijuana may increase warfarin anticoagulant effect by inhibiting its metabolism, and to a lesser extent, displacing warfarin from protein-binding sites. Other causes (eg, nonadherence) of the patient's increased INR were ruled out. Using the Horn Drug Interaction Probability Scale, our patient's warfarin- marijuana interaction appeared to be probable. CONCLUSIONS: To our knowledge, there have been no other reported cases of warfarin-marijuana interaction. While more clinical reports would be useful to confirm this interaction, clinicians should be aware of its probability so as to manage patients appropriately. Curr Drug Targets. 2010 Apr;11(4):429-39. 3,4-methylenedioxymethamphetamine (MDMA, "ecstasy") is an amphetamine derivative with psychostimulant properties. This substance is widely used around the world by young adults in recreational settings. One of the most remarkable characteristic of ecstasy users is the concurrent consumption of several other drugs of abuse including psychostimulants, alcohol, tobacco, LSD, cannabis and opioids. This poly-drug pattern of use is now prompting research towards understanding how the combination of MDMA with cannabis and opioids could affect neuropsychobiological processes related to addiction. As with other drugs of abuse, behavioural evidence has been presented supporting the role of the endocannabinoid system as a modulator of the rewarding/reinforcing properties of MDMA. On the other hand, the neurochemical substrate for the complex interactions between the endocannabinoid system and MDMA is poorly understood. MDMA also modulates the activity of the dynorphinergic and enkephalinergic systems in several brain structures related to addiction, as it has been shown for other psychostimulants. The work regarding the contribution of micro- and delta-opioid receptors in the rewarding effects of MDMA shows differential results in pharmacological studies in rats, with respect to studies using knock-out mice. The present review describes the behavioural and neurochemical interactions between MDMA, cannabinoids and opioids with respect to addiction processes. Dumont GJ, Kramers C, Sweep FC, Touw DJ, van Hasselt JG, de Kam M, van Gerven JM, Buitelaar JK, Verkes RJ. Pharmacokinetics and cardiovascular, temperature, and catecholamine responses were assessed over time. Both single-drug conditions robustly increased heart rate, and coadministration showed additive effects. MDMA increased epinephrine and norepinephrine concentrations, whereas THC did not affect the catecholamine response. Coadministration of MDMA and THC attenuated the increase of norepinephrine concentrations relative to administration of MDMA alone. These results show that THC mediates heart rate increase independent of sympathetic (catecholaminergic) activity, probably through direct cannabinoid receptor type 1 (CB(1)) agonism in cardiac tissue. Furthermore, THC coadministration did not prevent MDMA-induced temperature increase, but it delayed the onset and prolonged the duration of temperature elevation. These effects may be of particular relevance for the cardiovascular safety of ecstasy users who participate in energetic dancing in nightclubs with high ambient temperature. Cannabinoids and opioids produce antinociceptive synergy. Cannabinoids such as Δ-9-tetrahydrocannabinol (THC) release endogenous opioids and endocannabinoids such as anandamide (AEA) also alter endogenous opioid tone. Opioids and cannabinoids bind distinct receptors that co-localize in areas of the brain involved with the processing of pain signals. Therefore, it is logical to look at interactions of these two systems in the modulation of both acute and chronic pain. These drugs are often co-abused. In addition, the lack of continued effectiveness of opioids due to tolerance development limits the use of such drugs. The cost to society and patients in terms of dollars, loss of productivity, as well as quality of life, is staggering. This review summarizes the data indicating that with cannabinoid/opioid therapy one may be able to produce long-term antinociceptive effects at doses devoid of substantial side effects, while preventing the neuronal biochemical changes that accompany tolerance. The clinical utility of modulators of the endocannabinoid system as a potential mimic for THC-like drugs in analgesia and tolerance-sparing effects of opioids is a critical future direction also addressed in the review. Br J Pharmacol. 1972 February; 44(2): 250–261. 1. Cannabis extract prolonged sleeping time in mice in a thermally neutral environment (30-32° C) in which hypothermia does not occur. The prolongation was dose related, just detectable at 50 mg/kg, and 4-fold at 500 mg/kg. 2. Under these conditions, ether sleeping time was not prolonged. 3. Cannabis extract inhibited the aerobic metabolism of phenazone by a microsome-rich 9,000 g supernatant of mouse liver homogenate capable of nicotinamide adenine dinucleotide phosphate (NADPH) generation. 4. Δ1-Tetrahydrocannabinol (Δ1-THC) prolonged pentobarbitone sleep and inhibited phenazone metabolism, but its action was limited, and could not account for the effect of the extract. The carotenes and water-soluble fractions of the extract were inactive on pentobarbitone sleep. 5. Cannabidiol was strongly active by both tests; in vivo 39·8 μM/kg (12·5 mg/kg) prolonged sleep by 190%, and in vitro 12·7 μM inhibited phenazone metabolism 20%. These actions were dose related, and could account for the effect of the extract. 6. The prolongation of pentobarbitone sleep by cannabis extract in a dose of 200 mg/kg, intraperitoneally, was maximal when given 30 min before the pentobarbitone, still present at 3 h, but undetectable at 24 hours. No phase of enhanced metabolism at 24 or 48 h after single cannabis injection was detected. 7. It is concluded that cannabis extract inhibits microsomal activity of mouse liver, chiefly by virtue of its cannabidiol content. It is probable that cannabis consumption by man could lead to altered disposal of many other drugs, used in medicine or otherwise. Institution Department of Psychiatry, Faculty of Medicine, Chulalongkorn University, Bangkok 10330, Thailand. Source Drug Alcohol Depend 2010 Mar 1; 107(2-3):196-201. Cannabis can produce and/or exacerbate psychotic symptoms in vulnerable individuals. Early exposure to cannabis, particularly in combination with genetic factors, increases the risk of a subsequent, primary, psychotic disorder. Because paranoia is a common feature of stimulant abuse and cocaine-dependent individuals frequently endorse a history of cannabis abuse, we examined whether early cannabis exposure, in conjunction with polymorphic variation in the catechol-O-methyl transferase gene (COMT Val158Met), influences the risk for cocaine-induced paranoia (CIP). METHODS: Cannabis-use history was obtained in 1140 cocaine-dependent individuals from a family-based (affected sibling pair) study using the Semi-Structured Assessment for Drug Dependence and Alcoholism (SSADDA). Logistic regression and generalized estimating equations' analyses were used to examine the role of adolescent-onset cannabis use (< or =15 years of age) on CIP risk, both controlling for previously implicated CIP risk factors and familial relationships, and considering potential interactions with COMT Val158Met genotype. RESULTS: Cocaine-dependent individuals who endorsed CIP had significantly higher rates of adolescent-onset cannabis use than those without CIP (62.2% vs. 50.2%; chi(2)=15.2, df=1, p<0.0001), a finding that remained after controlling for sibling correlations and other risk factors. There were no effects of COMT genotype or genotype by early cannabis onset interactions. A modest (OR=1.4) and nearly significant (p=0.053) effect of CIP status in probands on CIP status in siblings was also noted. CONCLUSIONS: Adolescent-onset cannabis use increases the risk of CIP in cocaine-dependent individuals. COMT genotype and its interaction with early cannabis exposure did not emerge as significant predictors of CIP. In addition, trait vulnerability to CIP may also be familial in nature. In this prospective, randomized, single-blinded study, 30 male patients using cannabis more than once per week (group C) and 30 nonusers (group NC), aged 18-50 years, were induced with propofol 1.5, 2, 2.5, 3 or 3.5 mg kg. Additional doses were given when required. The primary outcome was the 50% effective dose of propofol and successful induction was determined by loss of consciousness with a bispectral index value of less than 60 and satisfactory insertion of a laryngeal mask. Propofol requirements to achieve these outcomes were recorded. The dose required to achieve the target bispectral index value was not significantly higher in group C, but group C required a significantly higher propofol dose to achieve laryngeal mask insertion (314.0 +/- 109.3 vs. 263.2 +/- 69.5 mg, P < 0.04). The estimated effective propofol induction dose in 50-95% of patients did not significantly differ between groups.